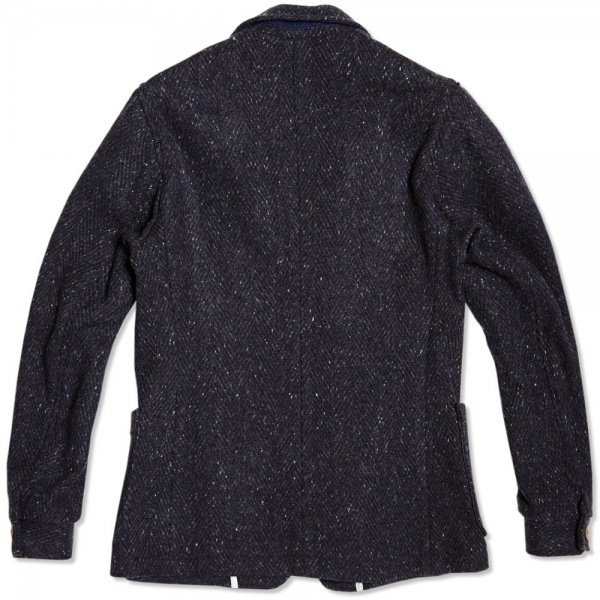 Olver Spencer Plymouth Jacket | Definitive Touch - Men's Contemporary Style. A perfect example of Oliver Spencer’s forward thinking, inventive designs, the Plymouth Jacket features some great details and has a unique feel. 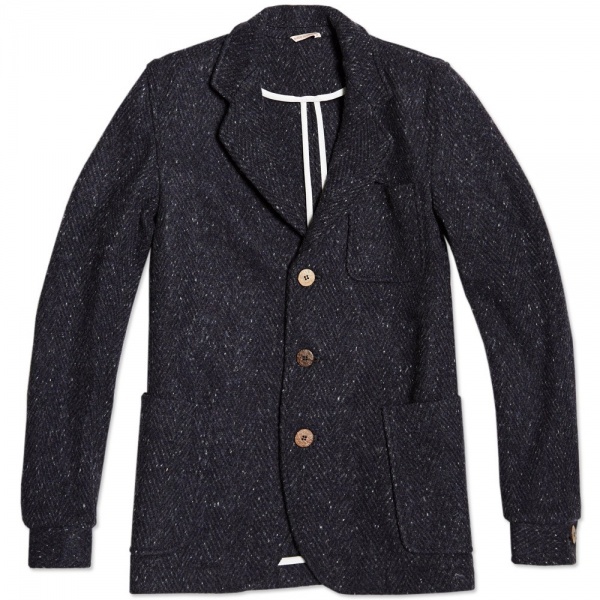 Constructed from a wool blend, it features wooden buttons, bringing a variety of textures alongside the wool and giving the garment a very unique look. The Plymouth Jacket is made in the UK and expertly constructed, visible by its trimmed seams, slim cut and clean lines. Available now at End.